Title currently out of stock. Buy it on Amazon. Few topics in current affairs are as contentious as immigration. Yet despite the controversies, social scientists who study immigration largely agree about its effects, whatever differences they may have about how a nation should change its policies. Their findings, however, have been buried in academic journals accessible only to other scholarsuntil now. With the publication of The Economics of Immigration: Market-Based Approaches, Social Science, and Public Policy, edited by Benjamin Powell, readers can now easily access the substance of the vast scholarly literature about a subject that touches millions of lives. Combining rigor and readability, The Economics of Immigration offers important findings and bold ideas that will appeal to a variety of readers. General readers who absorb its lessons will be well equipped to dispel widespread myths about the effects of immigration. Policymakers and pundits will be struck by its non-partisan tone, and its clear-headed proposals capable of bridging the political divide. And scholars will appreciate the books reviews of numerous studies, all in one volume. Part I summarizes and evaluates the literature on immigration and wages, employment, economic growth, government spending and revenues, cultural and civic assimilation, and work visas, with each chapter assessing the strengths and weaknesses of various studies, highlighting the best scholarship currently available, and discerning the overall scholarly consensus on each topic. 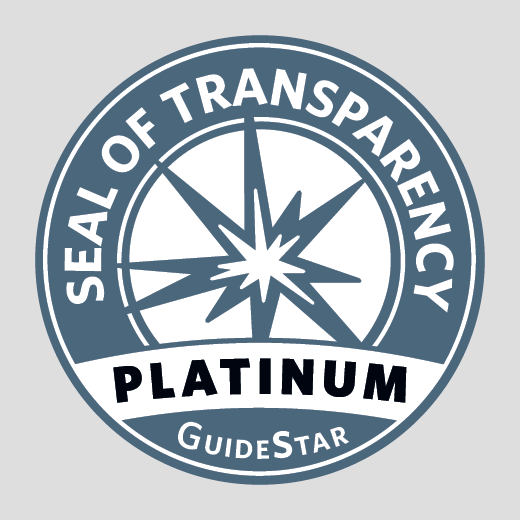 Part II features policy recommendations. These include a market-based approach designed to improve efficiency, fairness, and economic growth; a pro-assimilation approach that would reduce immigration but legalize immigrants who are in the United States illegally; and a radical case for an open borders, which draws on moral principles of various philosophical traditions as well as empirical research. The book concludes with the editors assessments of proposals put forth by six influential scholars. Immigration policy, like the issue of war and peace, is one of vital importance to millions of lives across the globe. Over 600 million adults14 percent of the world adult populationwish to permanently move to another country. Over one billion want to seek temporary work abroad. These people, along with the countless non-immigrants also affected by cross-border movement, deserve due consideration that is cognizant of the best empirical research available and the moral teachings of the worlds leading ethical traditions. If everyone could migrate to their country of choice, the population of many nations would be utterly transformed. Haiti would lose half its population. Australia, Singapore, and New Zealand would more than double. Even the United Statesthe first-choice destination for over 100 million adultswould grow by 60 percent. While many worry that a surge of such magnitude would harm both the sending country and the receiving country, the opposite may be true: large numbers of economically empowered immigrants would remit more money to relatives back home, and the non-immigrants would enjoy access to goods and services made possible by the larger labor force. Allowing more immigrants into developed nations would dramatically increase the wealth of the worlds poorest citizensand also that of the world economy. Economists estimate that the complete removal of immigration restrictions to wealthy countries could add $50 trillion to $150 trillion to the worlds economy. Letting even just 5 percent of the people from the poorest economies move to richer ones would increase the worlds global GDPthe value of total final output per yearby more than would lifting all barriers in trade and capital flows. Immigrants are not a major fiscal drain on the federal treasury. Reasonable scholarly estimates take into account the dynamic impact of immigration on the tax revenue generation of others, and they sum up the immigrant taxes generated and tax services consumed over an immigrants lifetime. Some careful studies find a slight fiscal gain from immigration. Others find a slight fiscal drain. But taken together, the estimated fiscal impacts of immigration are clustered around zero. Few topics in current affairs are as contentious as immigration. In some parts of the world, the discord has gone beyond mere shouting matches, as people have vented their frustration and anger by throwing rocks or destroying property. Yet despite the controversies, social scientists that study immigration largely agree about its effects, whatever differences they may have about how a nation should change its policies. Their findings, however, are usually buried in academic journals accessible only to other scholars. Fortunately, readers can now learn the substance of this vast body of research, thanks to the publication of The Economics of Immigration: Market-Based Approaches, Social Science, and Public Policy, edited by Independent Institute Senior Fellow Benjamin Powell. Not only does the book discern and assess the scholarly consensus (where one exists), but also it does this without encumbering the reader with foreboding social science jargon. Its unique combination of rigor and readability makes The Economics of Immigration an invaluable resource for the general public and policymakers, as well as academic specialists. Perhaps the most immediate benefit readers will gain from the book is a stronger ability to root out conflicting generalizations and unsupported claims that politicians and pundits seem especially prone to make during election seasons. Readers who absorb the lessons of The Economics of Immigration will be well equipped to dispel everyday myths and to contribute high-quality discussion in the public square. It is my sincere hope that this volume can help bring some reasonable dispassionate discourse to a policy debate that is so often emotionally charged and devoid of decent scientific evidence, Powell writes. With this book in their hands, no one who spreads misinformation about immigration will have the excuse that reliable sources were out of reach. The Economics of Immigration is designed to make it easy for readers to quickly learn about the aspects of immigration that interest them the most. Part I summarizes and evaluates the literature on immigration and wages, employment, economic growth, government spending and revenues, cultural and civic assimilation, and work visas, with each chapter assessing the strengths and weaknesses of various studies, highlighting the best scholarship currently available, and discerning the overall scholarly consensus on each topic. Part II moves beyond the realm of is and into ought, as the chapter authors make a case for their favorite policy recommendations. These include a market-based approach designed to improve efficiency, fairness, and economic growth; a pro-assimilation approach that would reduce immigration but legalize immigrants who are in the United States illegally; and a radical case for an open borders, which draws on moral principles of various philosophical traditions as well as empirical research. The final chapter assesses pro-immigration and anti-immigration reforms proposed by other prominent scholars. After Powells introductory chapter establishing the books context, method, and aims, Part I of The Economics of Immigration plunges into the most frequently voiced concerns about mass movement across borders. Chapter 2 addresses questions about the economic effects of international labor mobility: How does immigration affect wealth creation, commerce, and compensation in the host nations? Does it make developed countries more like the third world? Do newcomers tend to depress the wages of native-born workers? How does immigration affect the countries of origin? Does it create a brain drain that impoverishes them? By the time they finish reading Peter Leeson and Zachary Gochenours answers to these questions, readers will know more about immigrations effects than do all but a handful of scholars. Many people who might otherwise welcome more foreigners into their country believe that the government provision of social services for newcomers makes immigration a bad bargain for taxpayers. Even the economist Milton Friedman, famous for his advocacy of free markets, once said, You cant have free immigration and a welfare state. But what exactly are the effects of immigration on the fiscal health of the state? In chapter 3, Alex Nowrasteh looks at how immigration affects government spending and revenues, welfare, schooling, and Medicaid. Fears that immigration threatens American cultural and civic institutions are also pervasive. Is this worry well grounded in historical experience? How well do todays immigrants adapt to American institutions compared to immigrants of previous eras? In chapter 4, Jacob Vigdor examines various indicators of assimilation to assess the robustness of American institutions and traditions in response to immigration. Work visasboth temporary and permanentare another contentious topic. Countries have handled legal access to their labor market in a variety of ways. What can we learn from them? In chapter 5, Alexandre Padilla and Nicolas Cachanosky survey work visa policies across OECD countries in order to discern what works best. Their chapter therefore acts as a bridge from purely factual issues to the realm of value-laden policy recommendations. In recent years, immigration reform in the United States has died a thousand deaths in the halls of Congress. If this is because the menu of choices presented to the voting public has consisted only of boring variants of plain vanilla, then the bold proposals in Part II of The Economics of Immigration should stimulate the publics appetite for meaningful reform. In chapter 6, Richard Vedder makes the case for a market-based approach to immigration, one designed to achieve the economic benefits of greater immigration while circumventing the political backlash that might block its adoption. Vedder would expand the number of annual immigrant permits to their peak levels in the 20th century, but he would have those permits auctioned off to the highest bidder. But wouldnt such a policy make legal immigration unavailable to the poorest would-be immigration? Vedder counters this objection by suggesting ways to integrate currently undocumented immigrants and temporary workers into the auction system. Herbert London is more pessimistic about the ability to Americanize immigrants than the books other contributors. In chapter 7, he proposes policies he hopes would help newcomers better assimilate. He argues in favor of cutting in half the number of legal immigrants the United States takes in each yearwhile legalizing the estimated 11 million immigrants in the United States illegally. My opening plea for a grand bargain is an offer to combine compassion with hard-headed realism, recognizing that many illegal immigrants who have resided in the United States as taxpayers and law-aiding residents deserve a chance for a pathway to citizenship, he writes. The books boldest immigration proposal appears in chapter 8a call for complete open borders put forth by Bryan Caplan and Vipul Naik. An open borders policy is always best, they argue, because the estimated benefits would overwhelm most of the feared negative consequences. Moreover, they claim, every major moral philosophy argues for the free flow of people across national boundaries. 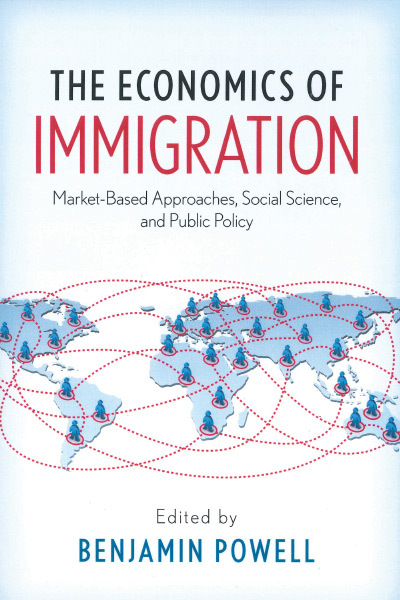 In chapter 9, Benjamin Powell concludes The Economics of Immigrationby surveying alternative policy perspectives, especially those of six prominent scholars: George Borjas, Paul Collier, and Victor Davis Hanson (who have generally argued against increased immigration); and Gordon Hanson, Lant Pritchett, and Michael Clemens (who have generally supported increased legal immigration). The point isnt to prove which proposal is best, Powell explains, but rather to show how reasonable scholars can put forth conflicting recommendations despite their overall agreement about the economic effects of immigration.